“mooch” installation at Amdavad ni Gufa, art gallery !! 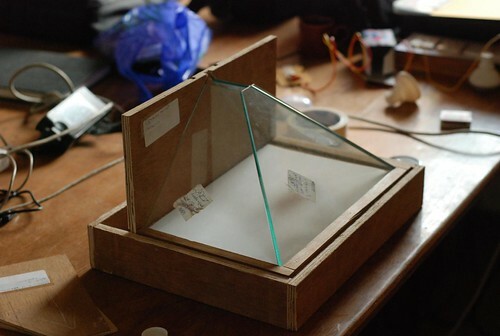 ‘Mooch’ is a small experimental installation project done at 72by3 studio. 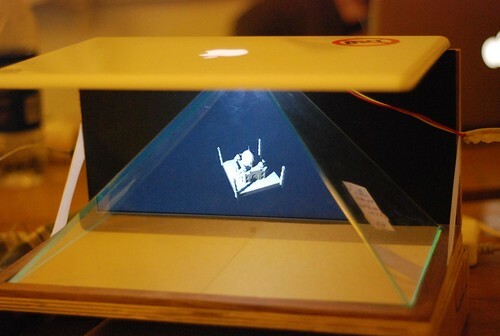 ‘Mooch’ is built using open CV face detection and processing. 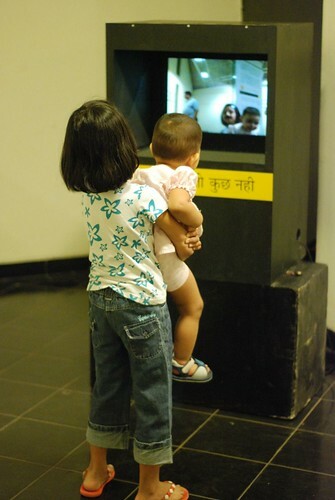 A camera detects number of faces in front of it and adds mustache or “mooch” as we call it in Hindi, to each of the faces. 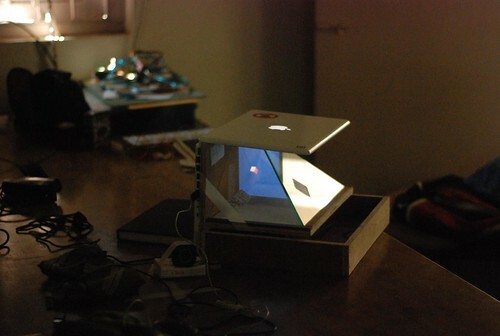 First ‘Mooch’ prototype was installed for five days at Amdavad Ni Guffa, art gallery in Ahmedabad, India. ‘Mooch” quickly became popular amongst children, elders and old people. A very quick, funny and engaging interaction made every one smile. Different gestures and expressions were captured through out five days of exhibition. Mooch is a small experiment i did few weeks earlier with simple processing sketch. 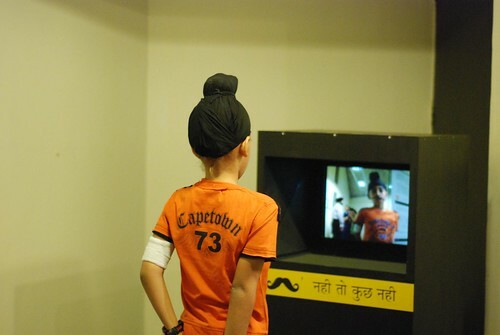 A camera detects number of faces in front of it and adds mustache or “mooch” as we call it in India, to each of the faces. I have always been impressed and curious by projection mapping technique, and always wanted to get my hand dirty in it. since people use lot of coding and complex software to generate visual graphics and mapping, i decided to explore several of those. BUT they are complex. i rather decided to start my experiments with manual technique. 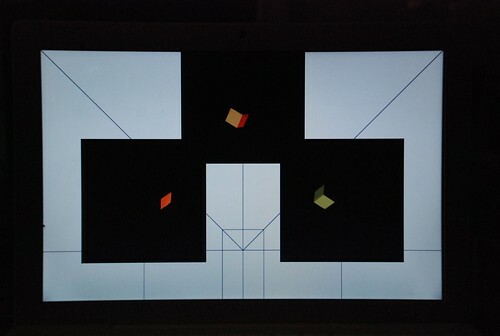 i started using MODUL8 vj software to do perspective correction in projection, rest was all manual. i used 3d studio max for modeling real object and animation. i worked out projector’s position and angle of projection, replicated the same in 3d max with same dimension as real, did animation and projected back .. boom!! but i hope to explore more in real time graphics and better animations soon…..